Snow Falling On . . . Well . . . Everything! 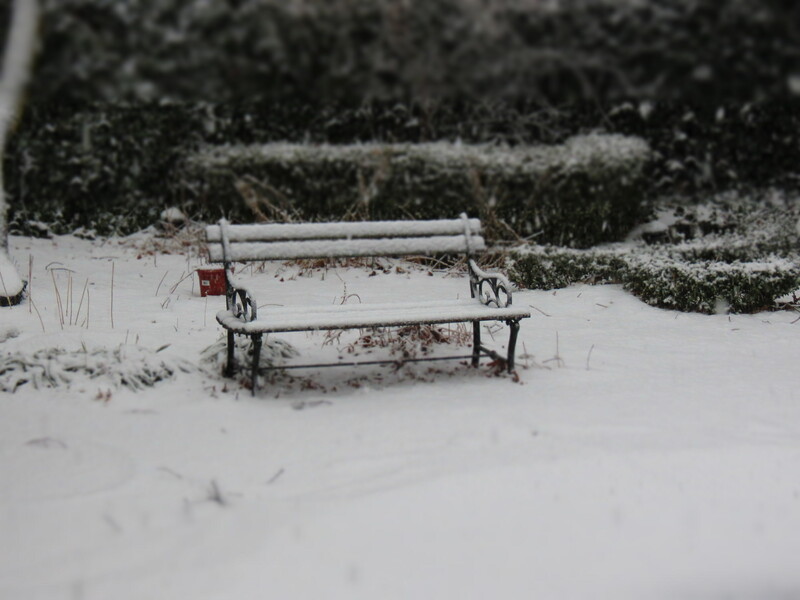 Snow falling on the bench. I arrived home from work today, just in time for the opening volley of a February blizzard. Like a good blogger, I grabbed the camera, ventured out into the 1″ of snow, took some photos, and hummed a few songs to myself — songs better suited for Christmas. 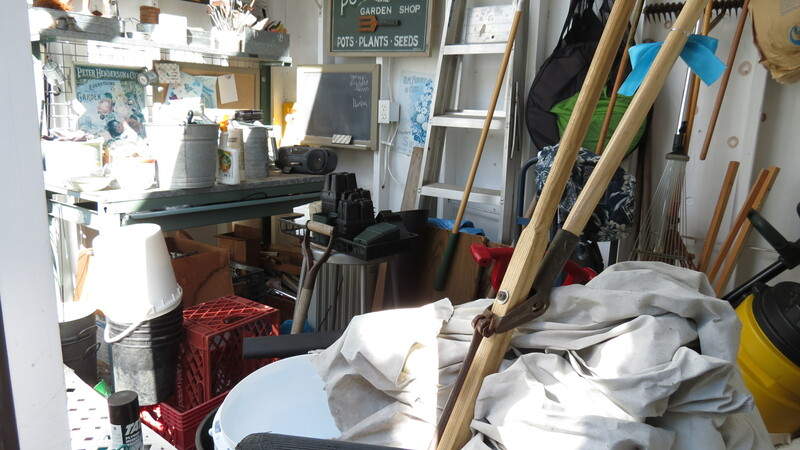 Lately, this is how I envision my brain: shards of broken terracotta strewn across the potting bench. Where I once had a clear vision and firm ideas, I now feel a bit scattered and disorganized. My struggle is to figure out why — why I can’t seem to focus; can’t seem to be motivated; can’t seem to get back to my two posts a week schedule. My first thought is that I have stumbled into a very bad case of bloggers’ block. Perhaps I’ve overextended myself — time needed for work and time dedicated to writing seem to be at odds with each other. Perhaps the freshest ideas have all been used in the first year of this blog — after all, once you write a piece on the joys of raking, how many more autumns can you possibly write the same thing? Then, just as I try to make sense of all these thoughts and worries, stacking them just so — one piece falls from the pile and I soon find myself once again in the throes of worry.